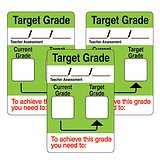 These Current & Target Grade Stickers are printed on matt finish sticker paper so you can write a brief note on them to inform parents and staff. 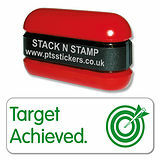 This teacher assessment sticker will save you time when marking. 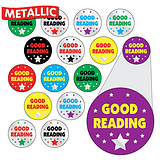 There is also a handy 'To achieve this grade you need to:' note at the bottom, which will save you having to write this out in each learner's book.